Meaning of the name: Anaelle means "God answered". Elizabeth is my middle name. Did you expect labor and delivery be this hard? I had a natural childbirth with my youngest daughter, so I knew generally what to expect. Did you take any classes to prepare yourself for labor? I had previously, but not in preparation for this birth. If you could change one thing about your labor and delivery what would it be? This was a very difficult l&d for several reasons. Our plans for a home birth ended when I developed high blood pressure later in pregnancy. It ultimately turned into pre-eclampsia just days before delivery. As a result, I had to be induced more than 4 weeks before my edd. I also needed to have medicine during l&d to protect me from seizures which made me feel awful and left me unable to move around and labor naturally. It also left me in a fog. So, I wish that I could change the fact that I developed pre-eclampsia because that condition essentially determined how this birth story unfolded. What was your husbands most unexpected thing during l&d? How quickly it went once contractions started. What calmed you down during l&d? Knowing that each contraction was bringing me closer to meeting my baby. When you first saw your baby what was your first thought? I was surprised she was a girl because we had been convinced I was having a boy! My second thought was that she was absolutely perfect. Who does she/ he look like? My husband says she looks like me. 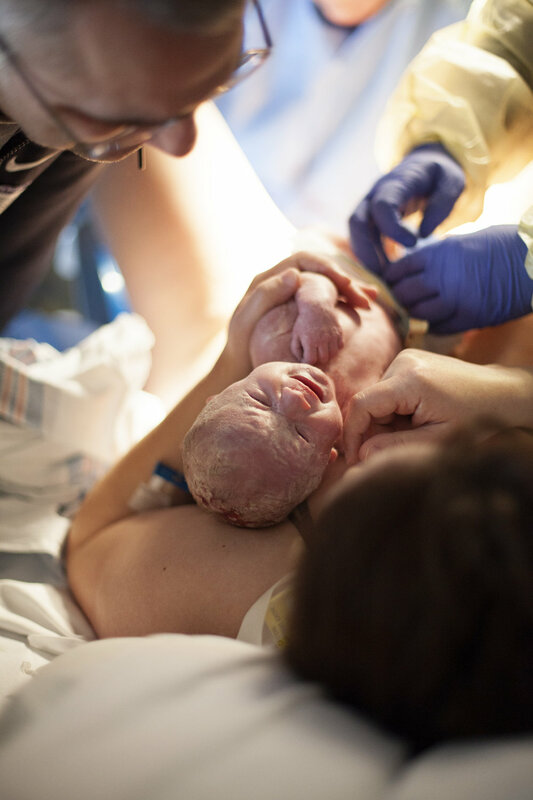 What was your experience having a birth photographer with you during l&d? Despite the fact that this birth was very traumatic for me, and didn't go at all according to my birth plan, I will always be grateful that Sonja was there. It was a scary situation and something I could not prepare for because it happened so quickly. But, this is Anaelle's story and how she made her way into this world, and having a photographer there to document that for us is irreplaceable. So many things could have gone wrong in our situation, but Anaelle arrived safe and sound and is a true testament to miracles. She is tiny, but so mighty, and our hearts explode with love for her.